Does 200.F get the meat as broken down as it needs to be for competition? I have read where people are suggesting 210... What are your thoughts? As for using a diffuser, I do both. I have one "plain" two-rack UDS, and another that is what I call a USM (Ugly Smokey Mountain). It has the same two cooking racks, plus a third for a water pan. 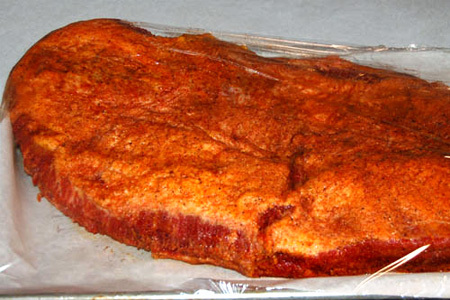 I use the plain one for short cooks (ribs and chicken in competition), and the USM for long cooks (brisket and butts). I love the old-school flavor that a UDS imparts, but it can quicky become way too much during long cooks. I have and uds and I find it hard to get longer cooks with it. What are some fire methods you use when cooking in your uds. I am still trying to find my niche when building my fire. I use the "Minion method" and a water pan. The coals last a very long time, and the water pan helps avoid flare-ups that can cause a hot burn. 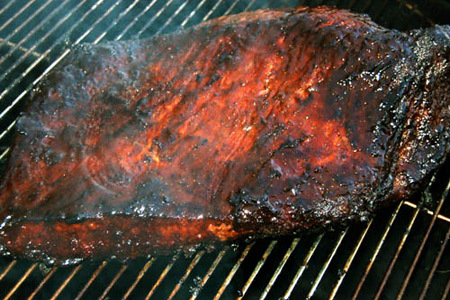 I have always enjoyed your detailed posts on the Brethren and appreciate your contribution to the BBQ world. Thanks! 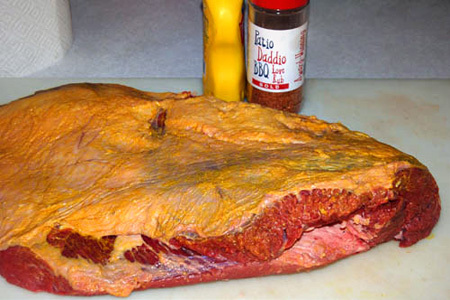 Not sure what the magic behind this is, have tried cooking brisket (12-13 lbs packers cut) fat side up in indirect heat (200-225F) for 10-11 hrs, and when checked it is still 160F. Is it because you went to 350F with fat side down? Anonymous - What you have described is what we call "the plateau", or "the stall". 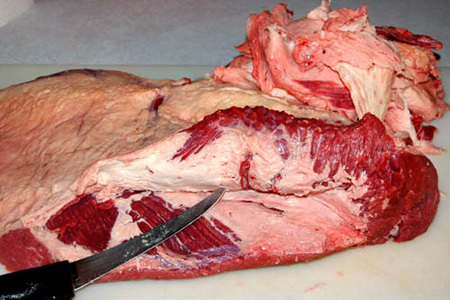 It happens in large cuts (pork shoulders/butts and brisket) typically in the 160-170* range, although I've seen it happen at 140-150*. The temperature literally plateaus or stalls in that range, and it can take hours for the temperature to start rising again. This is completely normal. You just have to be patient and keep cooking. Cooking hotter and faster as I do does shorten the stall period, but it's still there. I built a great running UDS, and am installing a lower grate today, with firebricks on it as a diffuser, for a 13# brisket cooking tonight/tomorrow. 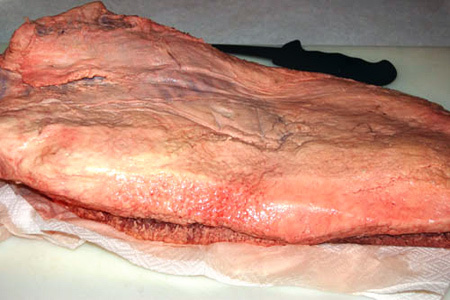 I've done brisket before on my offset, and sweet baby Jesus, took 18 hours; lot of work. My UDS will easily do 18 hours @ 225 on 16ish# of briquettes. 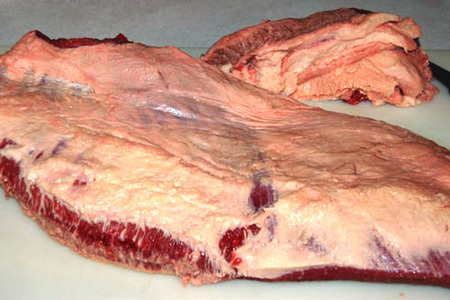 Sorry for that, but my question is, have you done a "split the difference" brisket cook, ie, 275-290ish? Yes, I've cooked in the mid temperature range before. I don't find that it really affects the cook, so I opt for the time savings of the higher temp. I did two 10 pound pork shoulders this weeknd and hit the stall at 160 - 165 degrees fo over 2 1/2 hours, cooking at 225 - 250 degrees. Great step by step post! Thanks, gonna try ur method tomorrow. Question: if u leave it wrapped in foil too long, does it dry out? 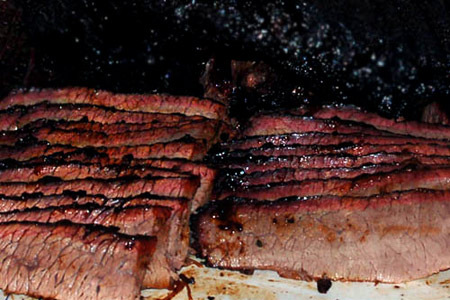 I've wrapped in foil before and the brisket is either too dry or overcooked, falls apart like pot roast. 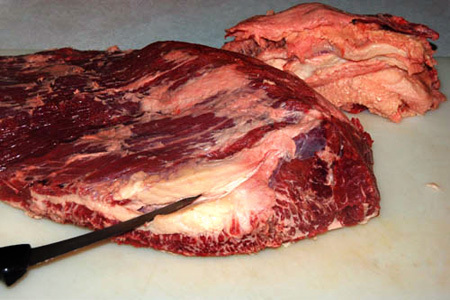 Alex - Leaving it wrapped too long will produce the overcooked pot roast-like results you described. Tried this exact method yesterday and it came out looking and tasting better than I had expected. It was really difficult to tell the difference from a low'n'slow cook. I highly recommend this way of doing it for anyone who ants to cut their cooking time in half. What kind of smoker are you using. I have a water/propane smoker, and it seems that if I use the water bowl, my smoker won't hit those higher temps (due to the water). 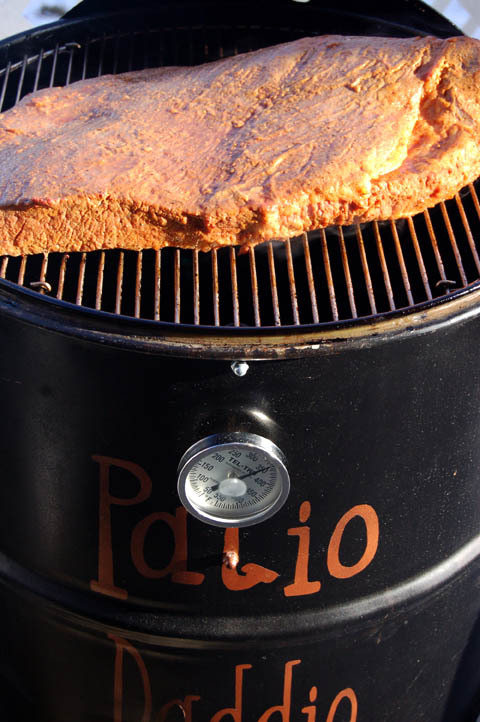 FD - I generally use my Ugly Drum Smoker (UDS). You are right that the water pan inhibits high temps, as it's intended to be a heat sink. Can you do this with just the flat? 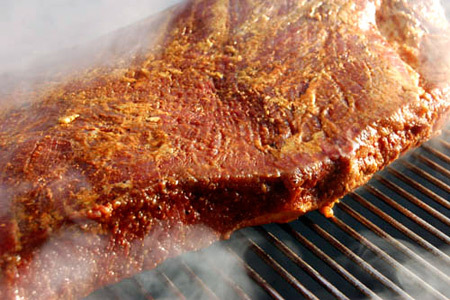 Jason - I do cook my competition brisket hot & fast, but I use a different recipe nowadays. So no foil while cooking? I'll have to give this a try, since I've always foiled with HnF. And I haven't liked the bark at all. Another method I've used at the 325-350 range is to foil it at 170 (about 2 hours) and cook for another 2 hours. Don't worry about temp, simply insert your thermometer and if it goes in with little resistance, it's ready. Let it rest for about 30 minutes, slice and serve. People love it - it's fork tender.